A typhoon that was near Okinawa, boomeranged and came back towards Honshu. 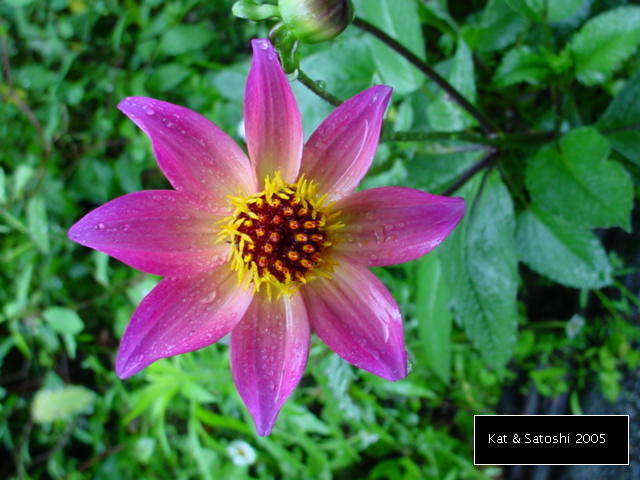 It hit Tohoku and Hokkaido on Tuesday. Can you believe that this is the 3rd or 4th (I can't remember) typhoon to hit Hokkaido this year?! They almost never get typhoons their way. Tons of melons, pears, potatoes and onions, wasted by the storm. I hope these farmers will be able to make ends meet. Tuesday, the weather was cool! Like 10 degrees different from what we've been experiencing AND no humidity. We had a notice that the gas company would be coming between 9:00-17:00 to change our meter. 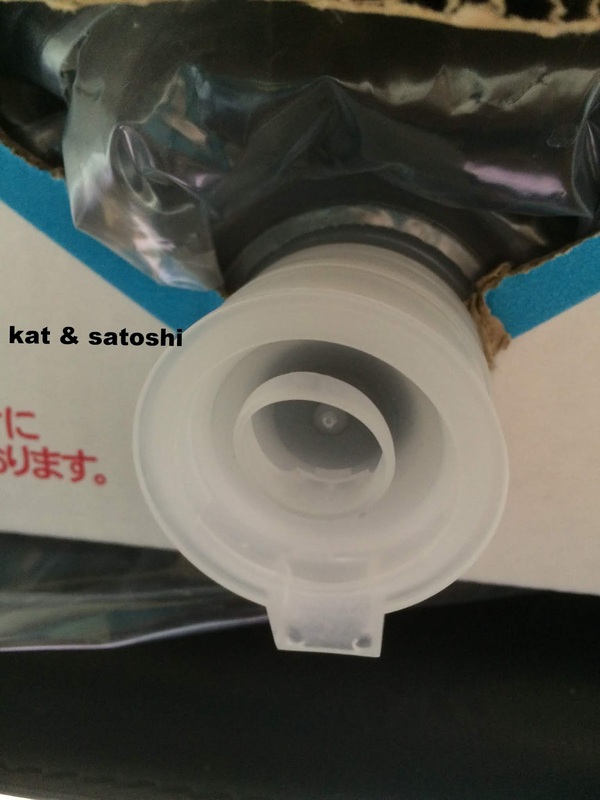 Satoshi called them on Sunday to see if they could come in the morning. The guy on the other end, said that he would put us down for the morning as a request, but wasn't sure when the guy doing the actual job would be able to come by. 9:15, the guy to change the meter came...9:30 he was finished and moved on to another resident's apartment! Whoo! Since the weather was so nice, I went for a walk. First time, since coming back from Hawaii. Was nice to get out and about. I hear that the temps will go back up later this week, so will enjoy this cooler weather while I can. 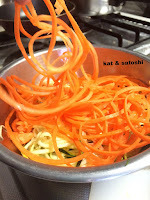 After seeing Deb's post, using spiralized veggies. 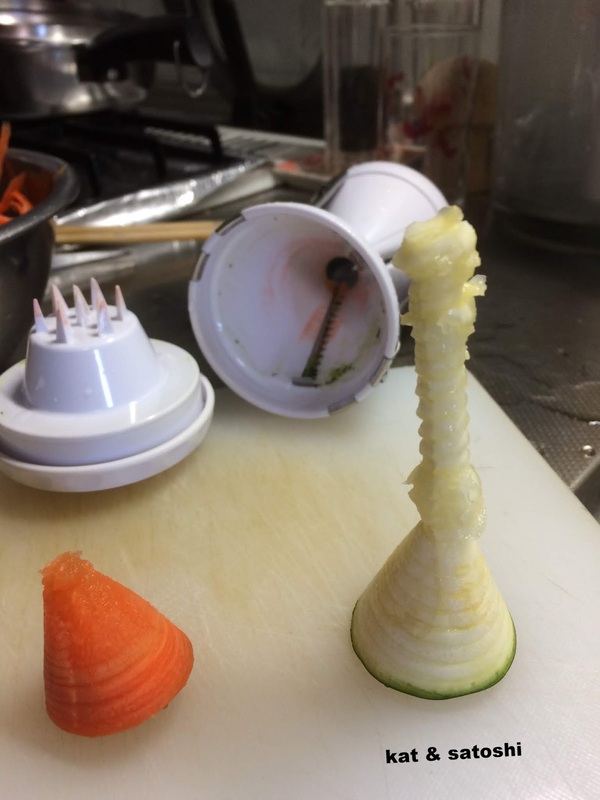 I was intrigued in getting a spiralizer for myself. 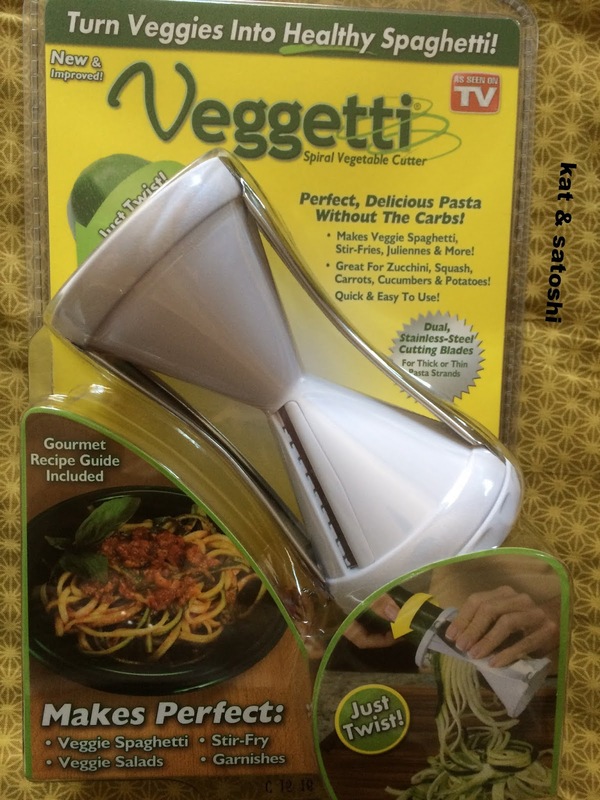 Of course, not wanting to invest too much money into the gadget, I looked online as I was debating between the vegetti and the microplane versions. What sold me on the vegetti was the safety cap. It helps you spiralize the very end of the veg without having to put your fingers in danger. 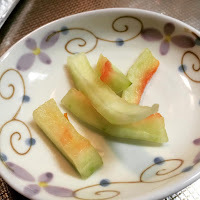 After washing half a zucchini and a small carrot, I used the "thin" side and came out with a l-o-n-g piece of zucchini and a l-o-n-g piece of carrot. Even though this was "thin" the "noodles" seemed quite thick. 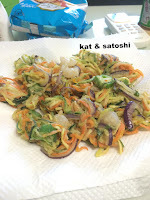 Satoshi was impressed at how you can use almost all of the vegetable. 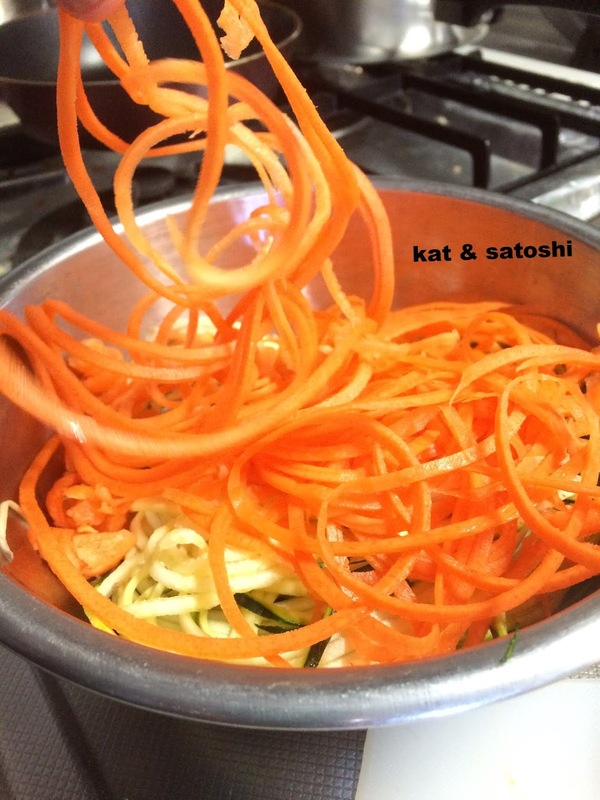 We cut the remaining parts of the vegetable and tossed it in with our "noodles". For our first experiment, we tried making kakiage (vegetable tempura). 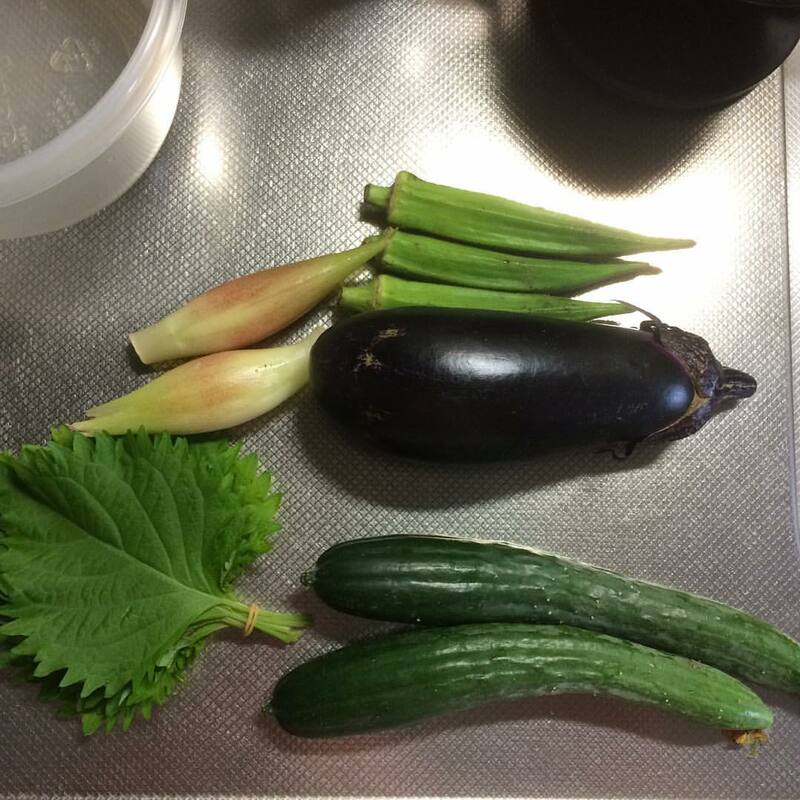 Besides the zucchini and carrots, we added some red onion, okra, shiso, myoga and shrimp. The bulk of these came out limp because a) the recipe for the koromo (batter) didn't instruct needing an egg, so it didn't hold anything together and b) my "helper" was impatient while frying these up. After adding the egg to the batter and waiting a little longer while they fried, these came out quite crisp. 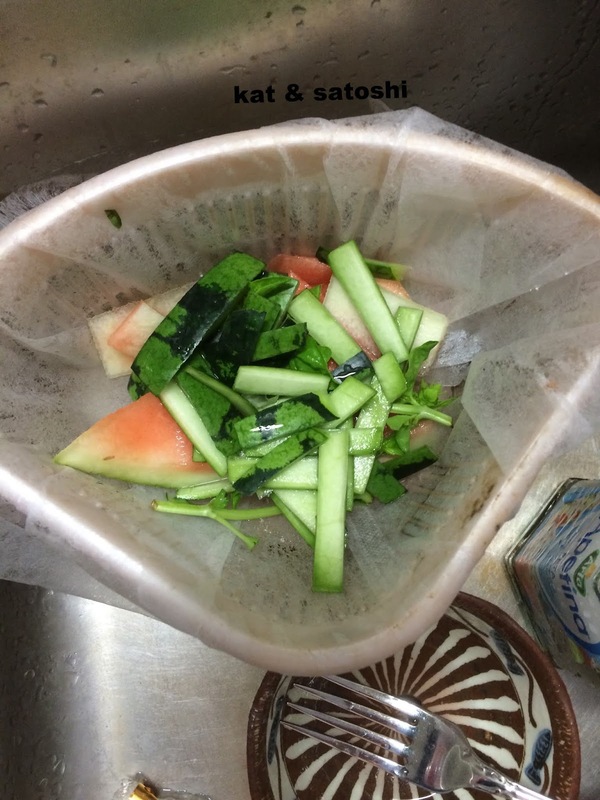 I'm glad we tried this, and look forward to trying different experiments with other vegetables. 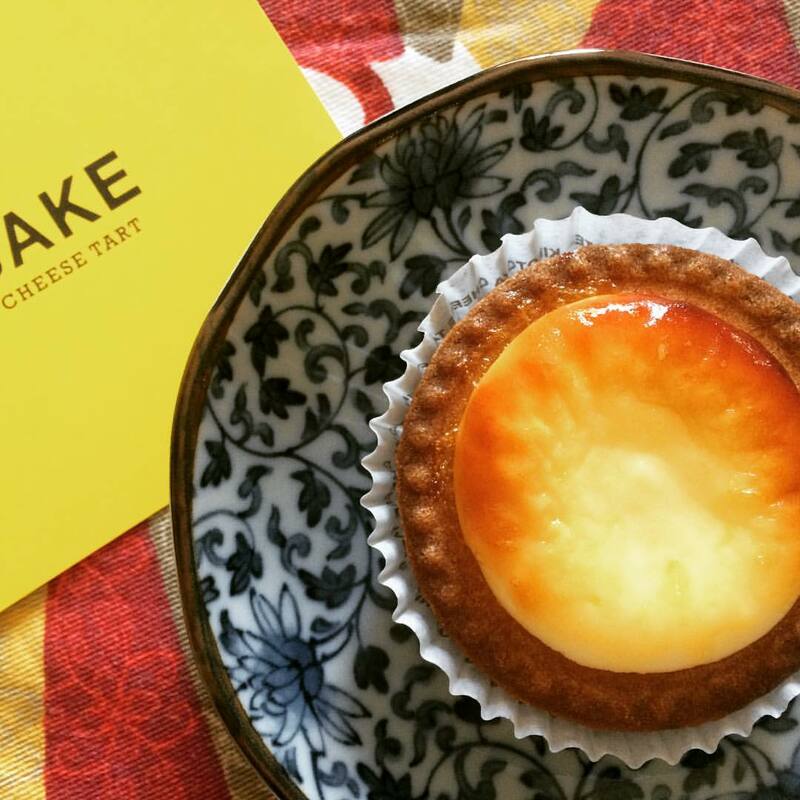 A well-known Sapporo sweets shop, Kinotoya, branched out and started selling these cheese tarts, under the name BAKE. 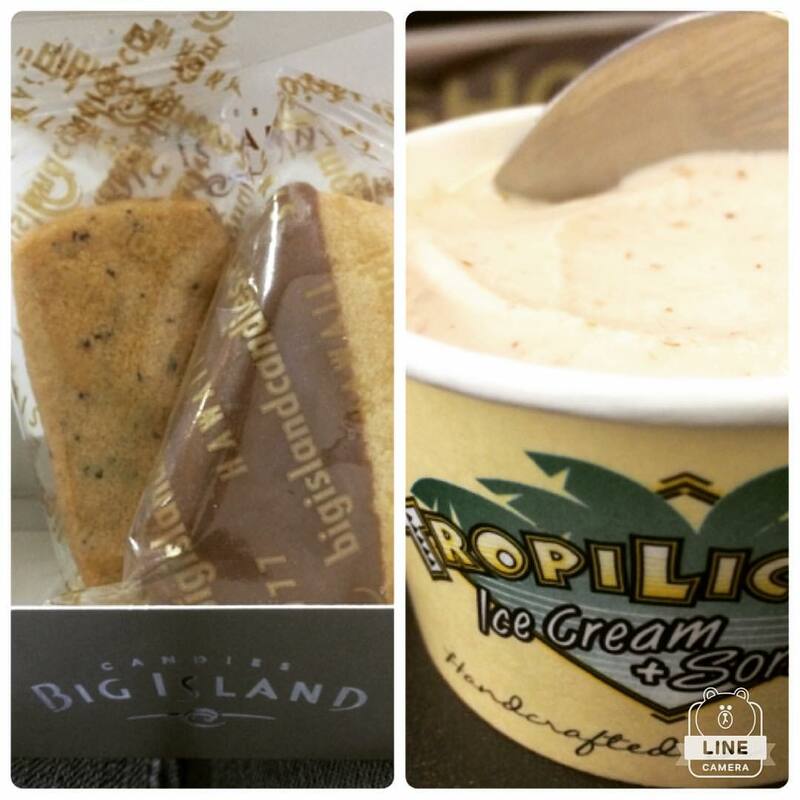 Last August, they opened a shop at Hanshin's food floor and of course the lines were krazy! A year later, I finally got to try them. On their instruction sheet they said you could eat it cold, frozen, room temperature or warmed up. The cream cheese was tart and the crust more like a cookie. I'm glad I was able to try this without having to stand in line. 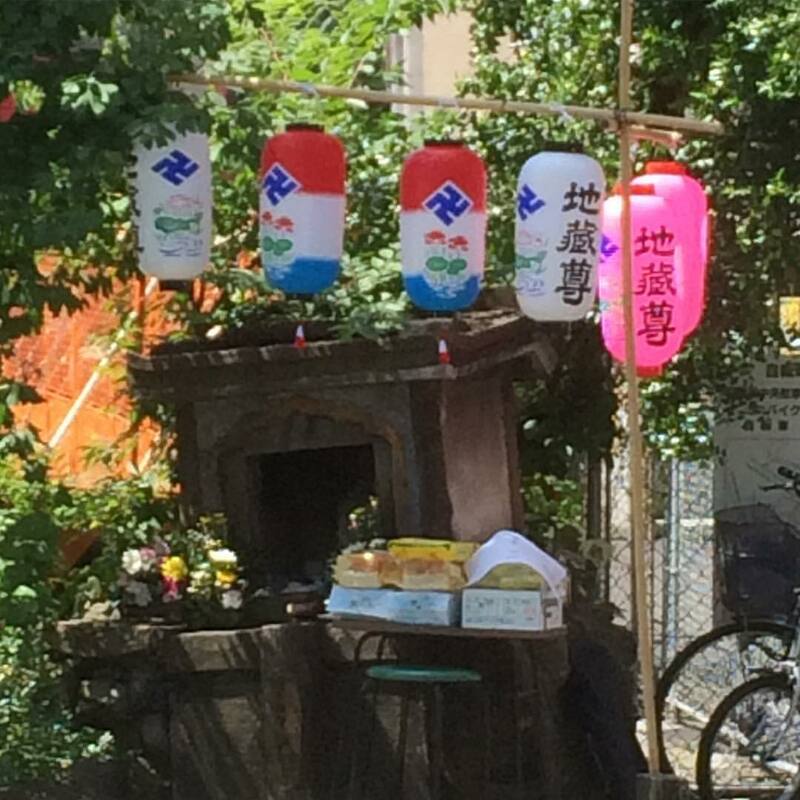 Yesterday was Jizobon, where people give thanks to Ojizoson, who watches over the children. 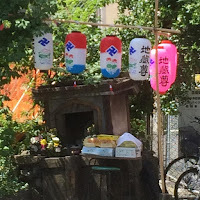 I noticed all the tiny shrines around our shopping arcade decorated with chochin (paper lanterns) and offerings. There were also some priests sitting in front of some of the shrines saying prayers. Last night was also the Gangara Fire Festival, which I've written about before, here. Summer seems to be coming to a close with all these events, but the weather dude says that the heat & humidity will continue to linger awhile. 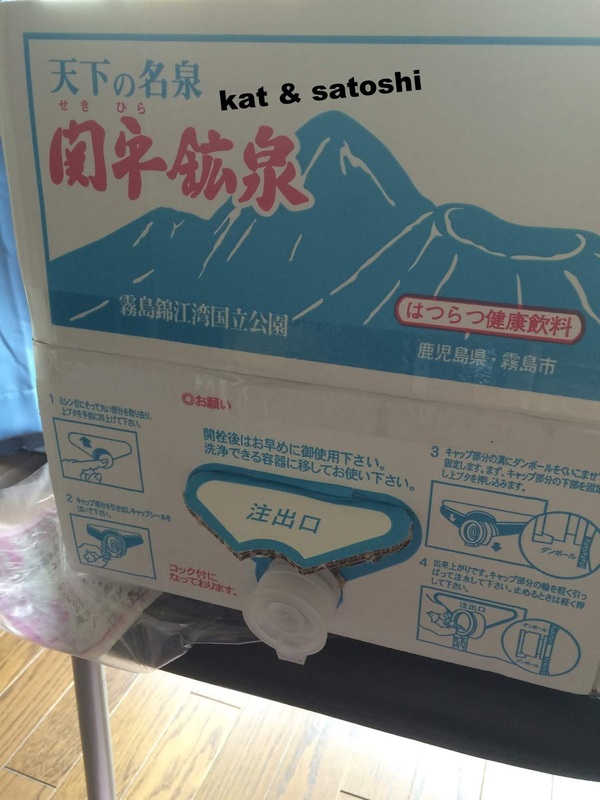 Awhile back we received this 20 liter box of mineral water from Satoshi's friend. Anyway, I was really impressed with the nozzle to pour the water. It looks like those tabs when you open a shoyu or vinegar bottle here in Japan. 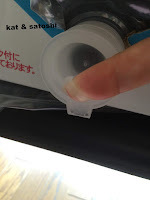 But, instead of a soft plastic, it is kinda stretchy like a rubber band. Pull on it and the water comes out, release and the water stops. Sorry I couldn't get a shot of the water coming out. I think I told you how bummed we were to see that apartment complex come up last year, here. Well, between the two buildings (the new apartment and an older one), we could see the fireworks...whoo! 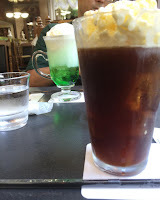 Most times when we go to Kyoto, we visit MIL, so we don't do much holo-holo (galavanting). I've had Café Quarirengue bookmarked for awhile now, so it was nice that we could check it out this past Saturday. 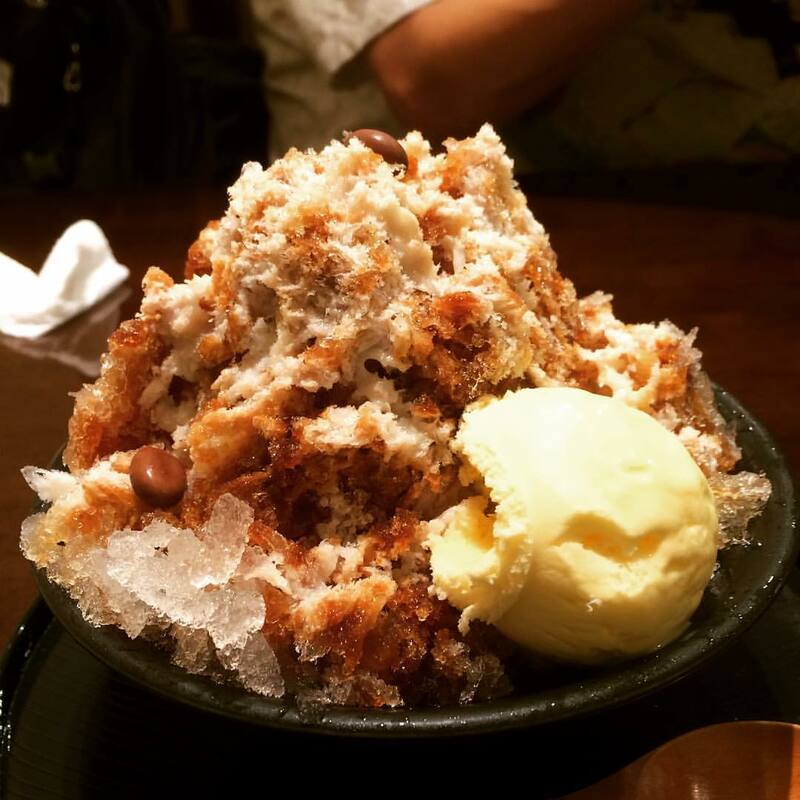 I ordered their coffee jelly parfait...vanilla ice cream, topped with cornflakes, some candied walnuts and coffee gelatin...delicious! Satoshi ordered their matcha cake with a coffee...the cake was dense like cheesecake...so good! The ceramics that they served everything in were so pretty. Even though the heat and humidity was pretty miserable, I'm glad we got to check this place out. It's still blazing over here, so let's talk about ice. 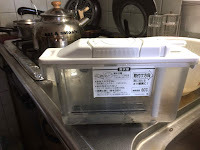 Last month when I was in Hawaii, Aunty Marian's ice maker went kaput. She mentioned that someone would need to come and fix it. 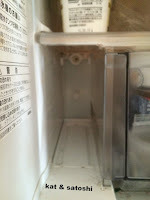 Apparently most U.S. refrigerators with ice makers need to be near a waterline, like near the sink. 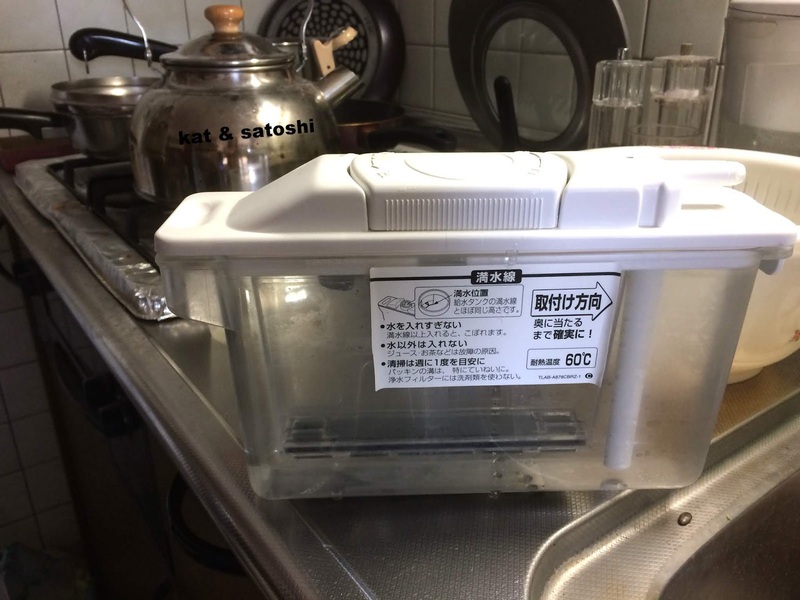 In Japan though, our ice making refrigerators can be placed anywhere there is a plug, because we have a cartridge that we fill with water. We put this cartridge directly into our refridge. The water is sucked out and brought down to the ice making area of the freezer. A friend on Instagram, uploaded a photo of watermelon rind pickles. It sounded so easy that I had to try. 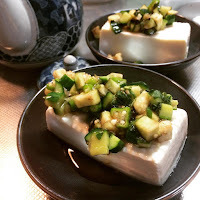 A lot of recipes online involve cooking the rind, but I like this version because there is no cooking involved. NOTES: After rinsing, this was still quite salty, so I would cut back the amount of salt to a teaspoon. Also, I think leaving a little "red" makes it more photogenic. 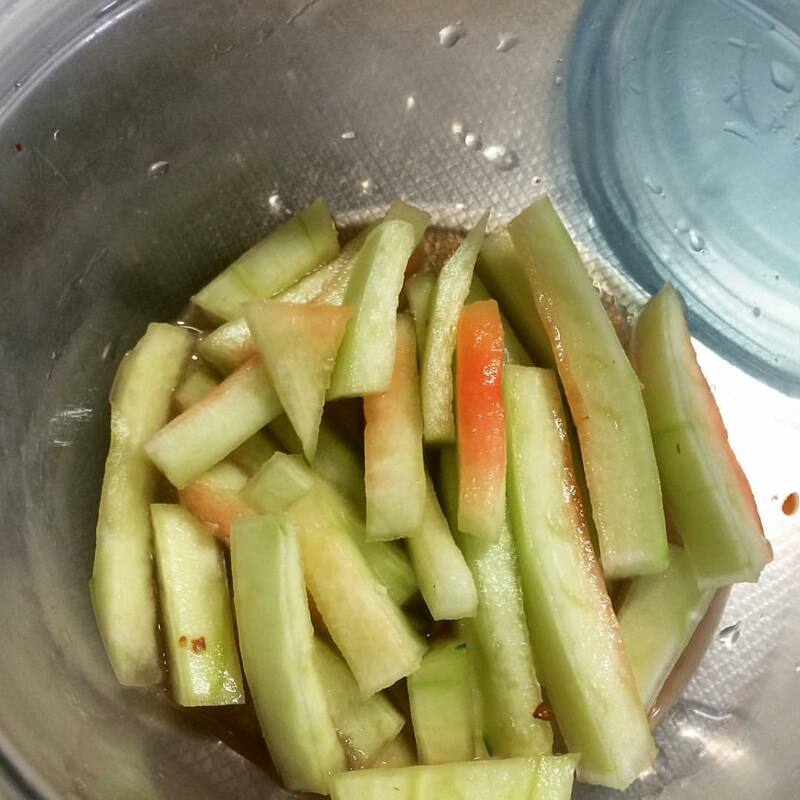 This was super crunchy and tastes like cucumbers. We thought ahead and bought some sandwiches to eat once we reached the falls. 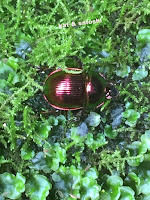 Before reaching the falls though, we came across this funky beetle. 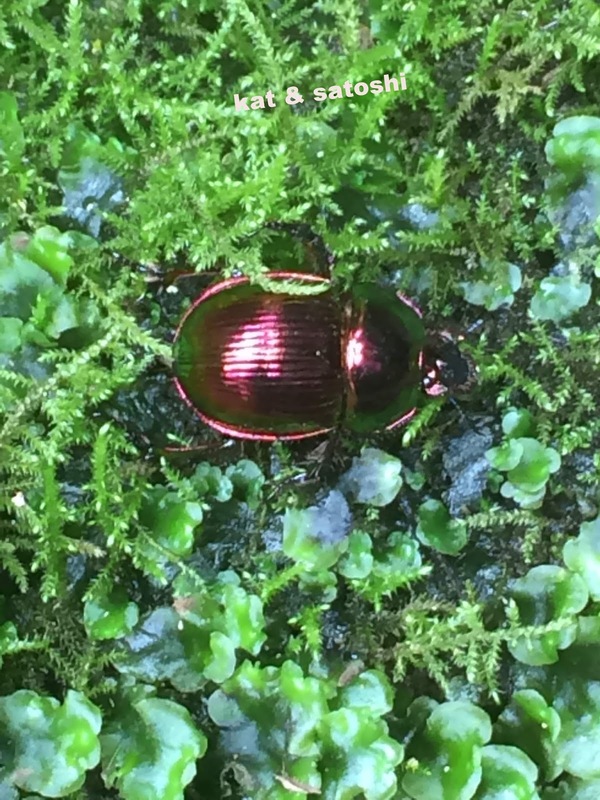 First time for me to see a blingy reddish one (usually they are blingy bluish-green). I shot a short video of the falls here, if you are interested, please take a look. 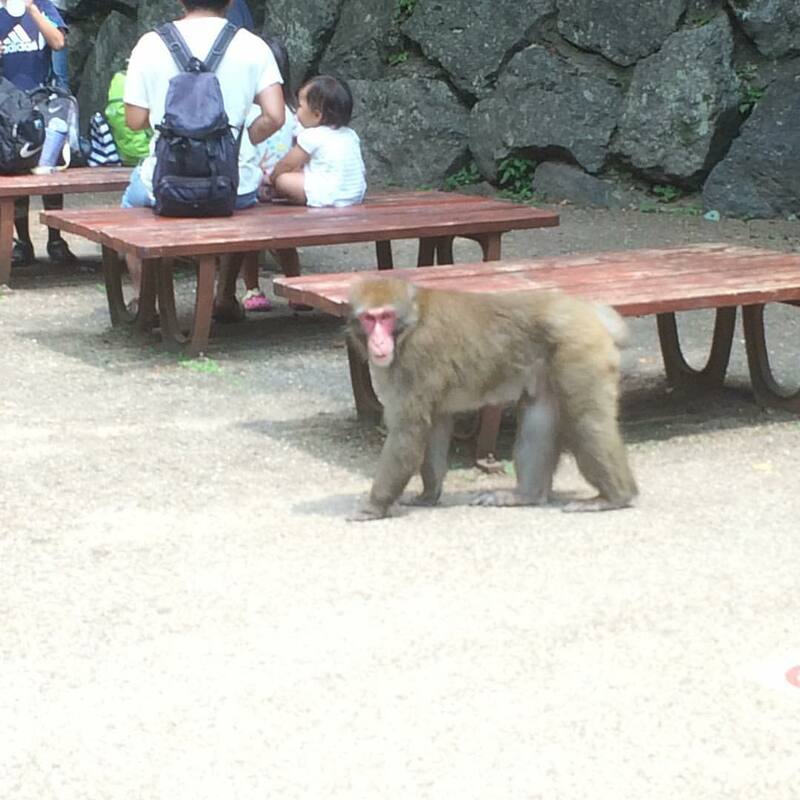 Apparently he has not learned his lesson when it comes to monkeys....sigh. Since the falls did not relieve any heat or humidity, we decided to hang out at Yamamoto Coffee which is located at the middle of the park. 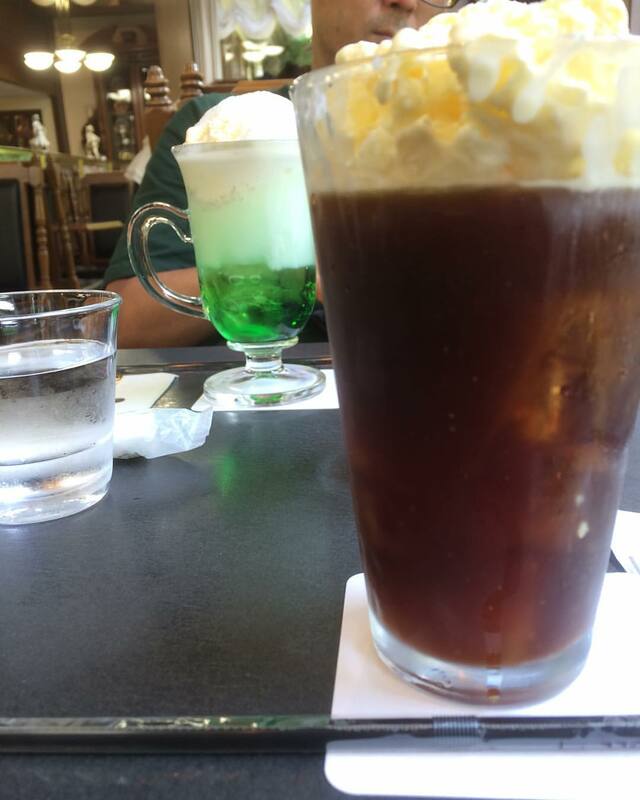 Satoshi ordered a melon cream soda while I ordered a coffee float. In the afternoon, there was a freak rainstorm that lasted an hour or so, with lightning and thunder. Lots of excitement, yeah?! How was your Sunday? Even though the heat and humidity have been brutal this year, I've been keeping cool with shave ice. 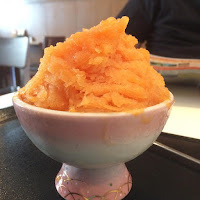 This cappuccino shave ice is what I had when Satoshi and I went to Kyoto...this was my mid-morning snack. The cappuccino was sweetened and there were also coffee bean shaped chocolates here and there, the scoop of vanilla ice cream also notched up the sweetness. Then on Saturday, after lunch, I ordered this golden peach shave ice at Yukinoshita. It was like eating a frozen peach! The ice was finely shaved too. Satoshi on the other hand ordered this monster...a melty matcha parfait. We have a couple of typhoons heading our way too this week, so the humidity is only gonna get worse....sigh. 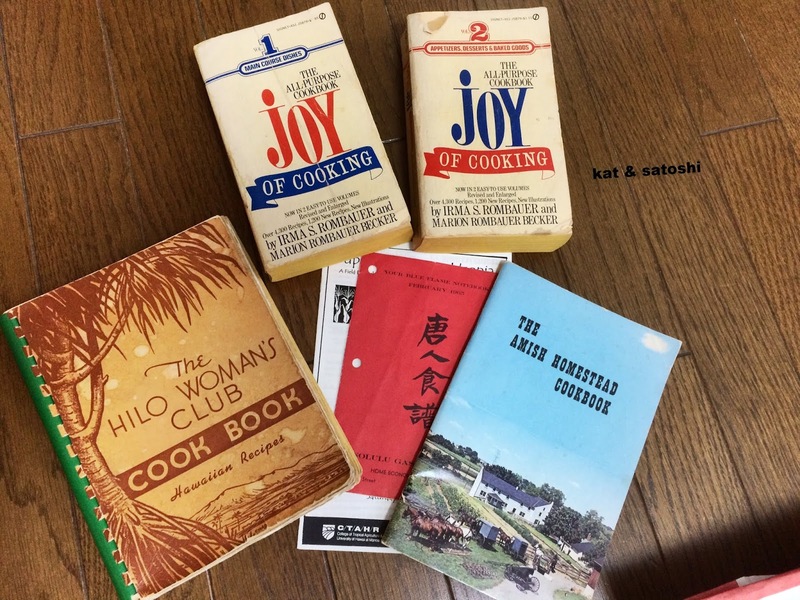 When I hear the word "dashi", I think of "soup" or "stock". 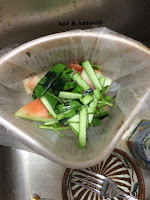 But in Yamagata prefecture, "dashi" is a hodgepodge of veggies which is eaten to fight off natsubate (heat exhaustion). I got the idea from a television show and it is super easy to put together. Mince up the rest of the veggies. Drain the water from the eggplant. 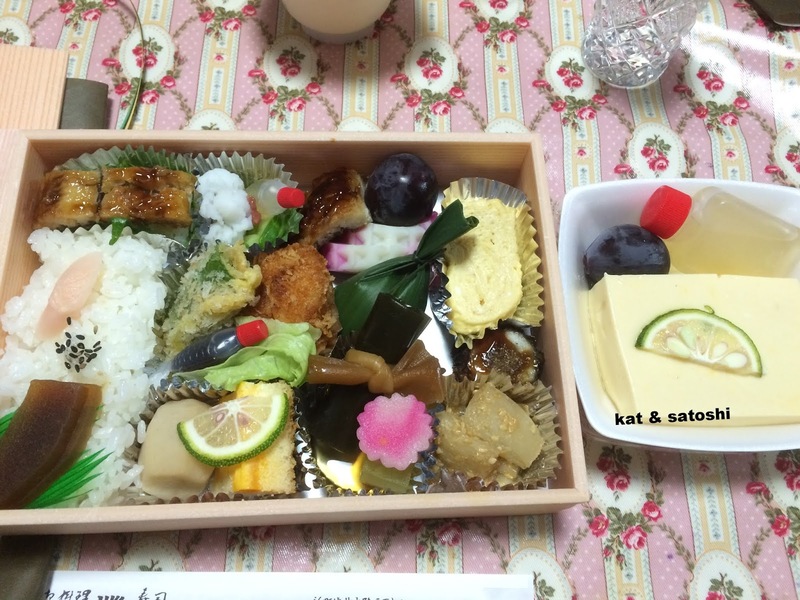 NOTES: In Yamagata, they put this on top of their rice, but we enjoyed it on tofu. This was so easy to put together and so refreshing. I'm making this again. 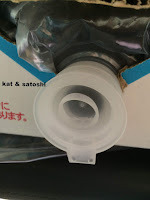 FYI: if you cannot find dashi-shoyu where you are, it might be best to put some together. Of course the ratios might need to be tweaked but I think a 1 to 1 ratio of dashi (stock) to shoyu (soy sauce), would be a good start. UPDATE: I noticed on my dashi shoyu that there were other ingredients like mirin & sugar in it, I found an easy recipe here, which might be a better start to making your own dashi-shoyu. It's O-bon now in Japan. Many companies have the week off. 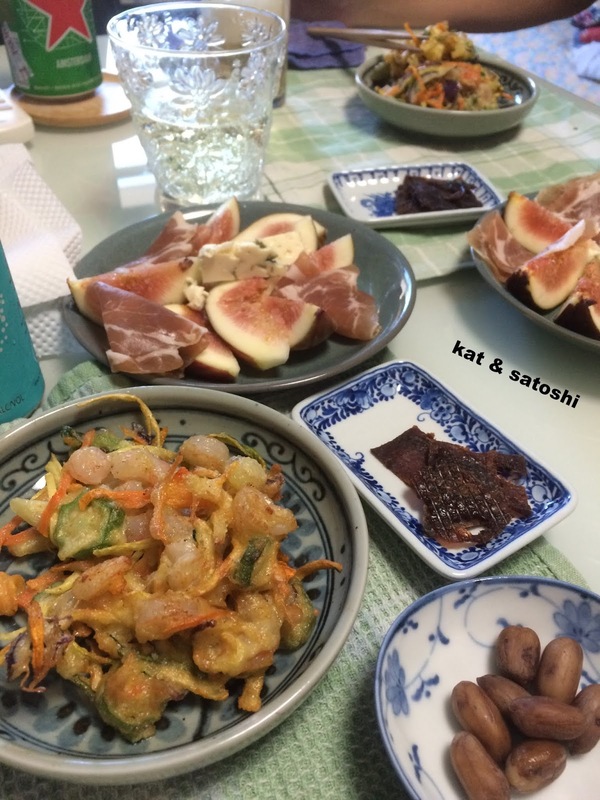 Satoshi doesn't but was able to take the day off. 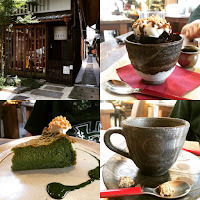 So, on Friday, we went to Kyoto. The priest was making his rounds to say prayers for many families. It was a nice gathering as we haven't seen BIL and SIL in awhile. Lunch was a bento from a tiny shop, Uotoku, up the street from MIL's. Most people are off until Tuesday, but it's back to work for Satoshi tomorrow. 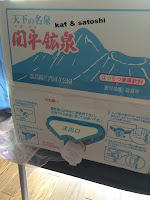 Today is a National Holiday...Yama no Hi (Mountain Day). 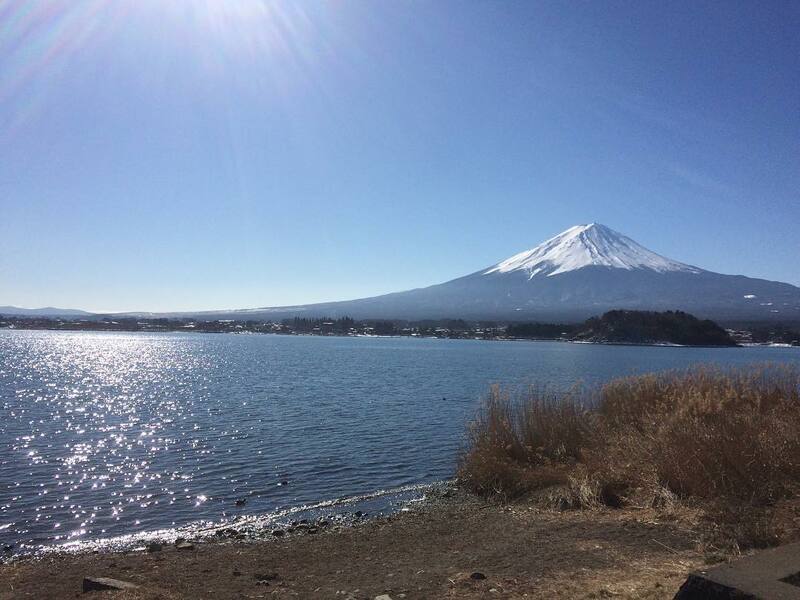 This holiday was newly added (this year) to the gazillion that Japan already has. 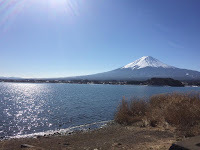 Oh well...I'm appreciating our favorite mountain today...Mt Fuji. 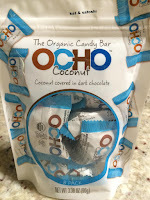 When I was in Hawaii, I came across OCHO candy at Target. OCHO stands for organic chocolate. 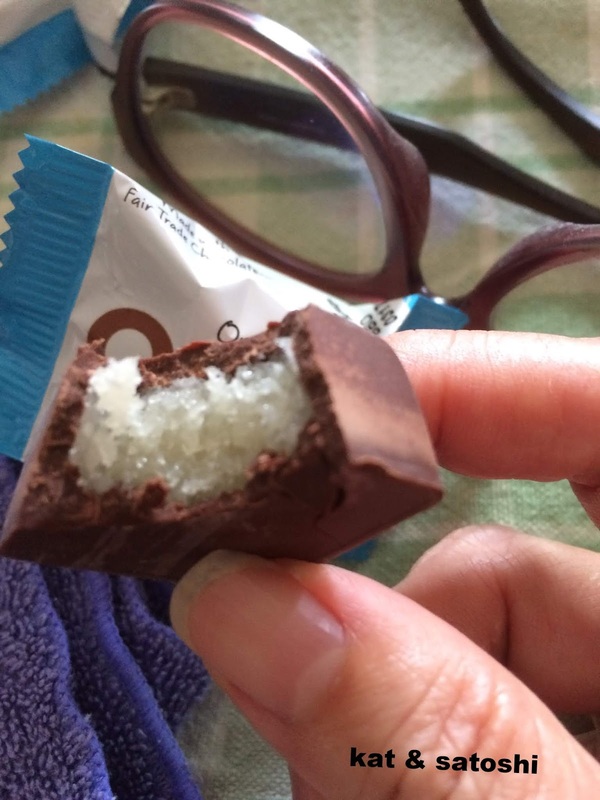 I debated between their coconut and peanut butter candies. The chocolate bloomed a little because my luggage was in 90-something temps when it landed in Osaka. Still, this is good. 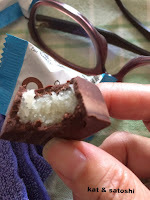 Lots of coconut and I like that they use organic ingredients. I hope to try some of their other versions next time I'm back in Hawaii. Yesterday, the weather was sunny but the heat and humidity was brutal. I think the temps got up to the 90s but felt like 100s. I swear it feels like you are right up next to the broiler element of an oven. 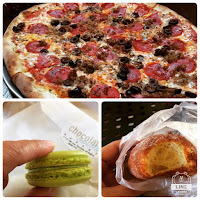 I stopped in at Ça Marche and picked up their patchwork bread and some other items...I've written about them here. I love their breads! It was so hot that I stopped in at a new Starbucks, this one is a Starbucks Reserve and is called Neighborhood Coffee. All their drinks are one size (big) and their prices are quite "big" too. 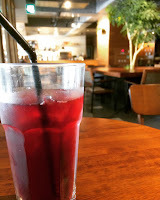 This passion tea was 540 yen (tax included). The staff are friendly and I like the space design, they even have a separate area for people to come and sit with their dogs. After cooling down and recharging...I headed down to Mariage Frères to pick up this year's summer tea which is called Rio Summer and some others for iced tea. 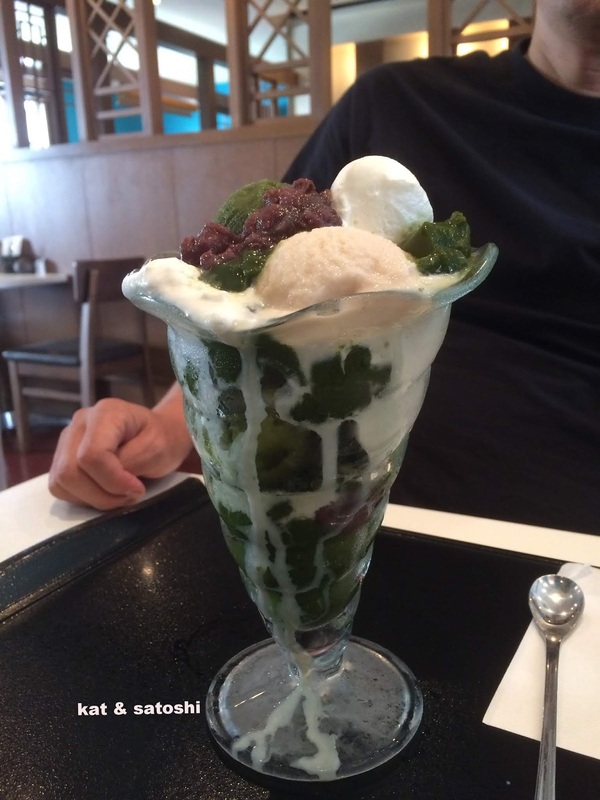 The Rio Summer is a green tea base with mint, green mate and açai. I've already cold brewed a batch and it is refreshing, lots of mint! 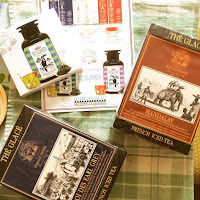 The other two teas I purchased were Mandalay (a black tea base with fruits and spices, perfect for iced chai), and Roi des Earl Grey (a black tea with bergamot). I really appreciate the staff working here. 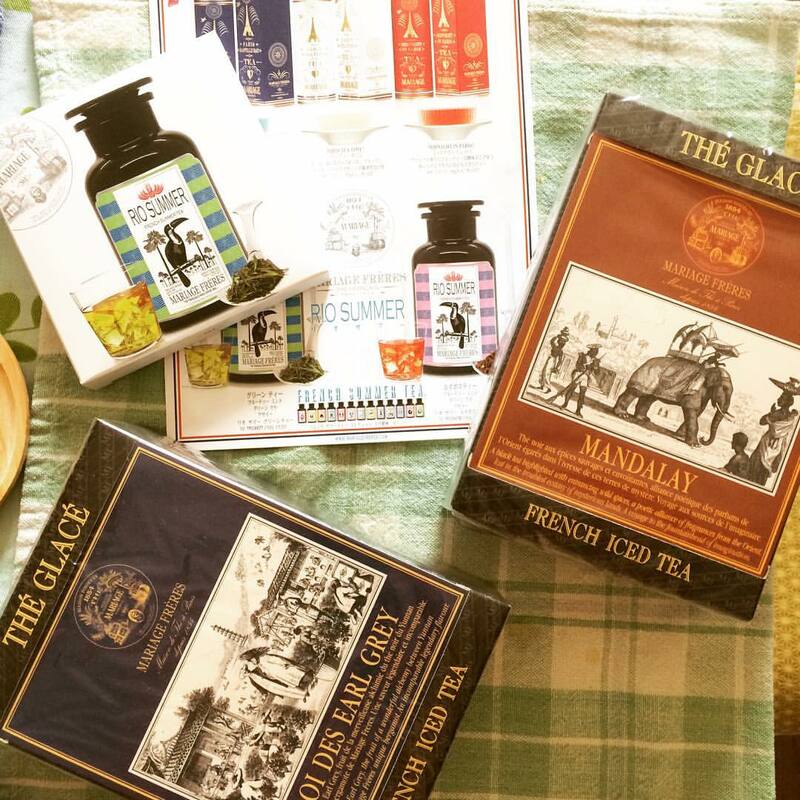 They are really passionate about tea and give really informative explanations of the different teas. Since this summer is really hot, I'm sure we'll quickly go through these teas. How is summer where you are? 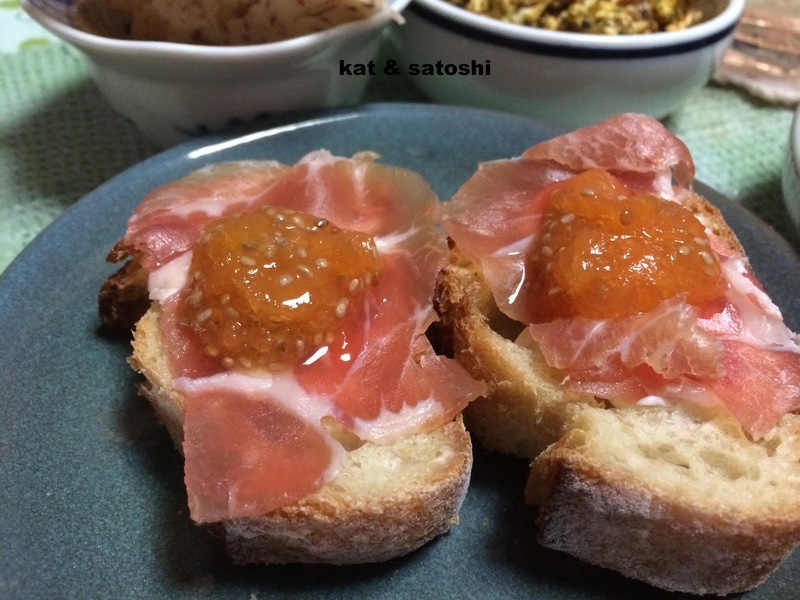 While visiting with Deb, she gave me a jar of her salted honey cantaloupe chia jam. Yesterday, we tried it with some toasted baguette, a schmear of cream cheese, some capicola (like proscuitto) and the jam. I think you could also nix the proscuitto and just eat it with the cream cheese. Deb says she also ate this with crackers, so I'm going to look for some crackers for us to eat this with. 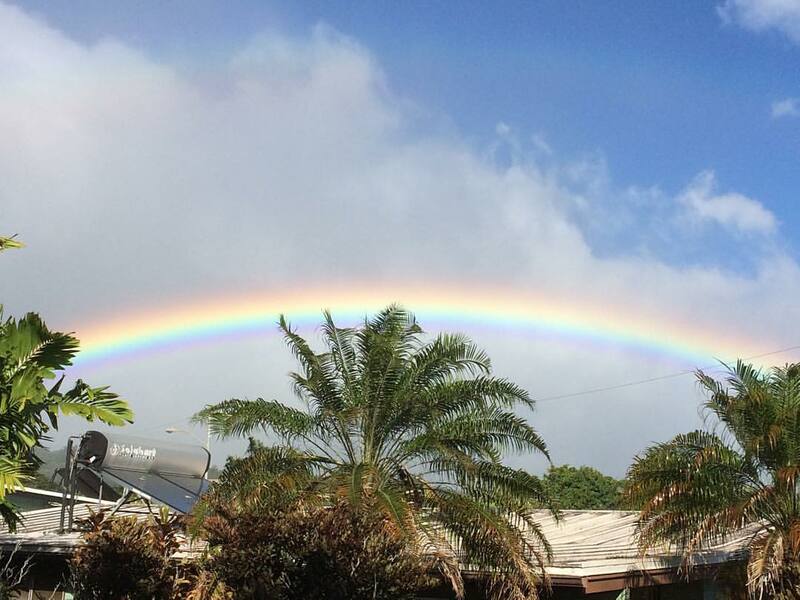 Thanks for sharing this with us Deb! She actually had some of Grandma's too. Think about you all the time especially today, Mom. BFF Wen, was nice to drop me off at the airport on her way to work, so I was there a little before 6:00...Unfortunately, the JAL counter did not open until 7:45...boo! After checking in, I had a leisurely breakfast at Starbucks. We had a relatively full plane and economy seats have changed on JAL, every seat has gotten 10 centimeters more leg room. I've never had a problem with leg room (because I'm short), but can understand what tall people must go through. I've been wanting to see this movie, "If cats disappeared from the world". FYI: This movie should be watched in the privacy of your home, talk about kleenex moments! Luckily, my connection wasn't for another 2 hours. Part of our lunch was this Tropilicious Strawberry Haupia Ice Cream, and part of our snack before landing were these Big Island Candies cookies. 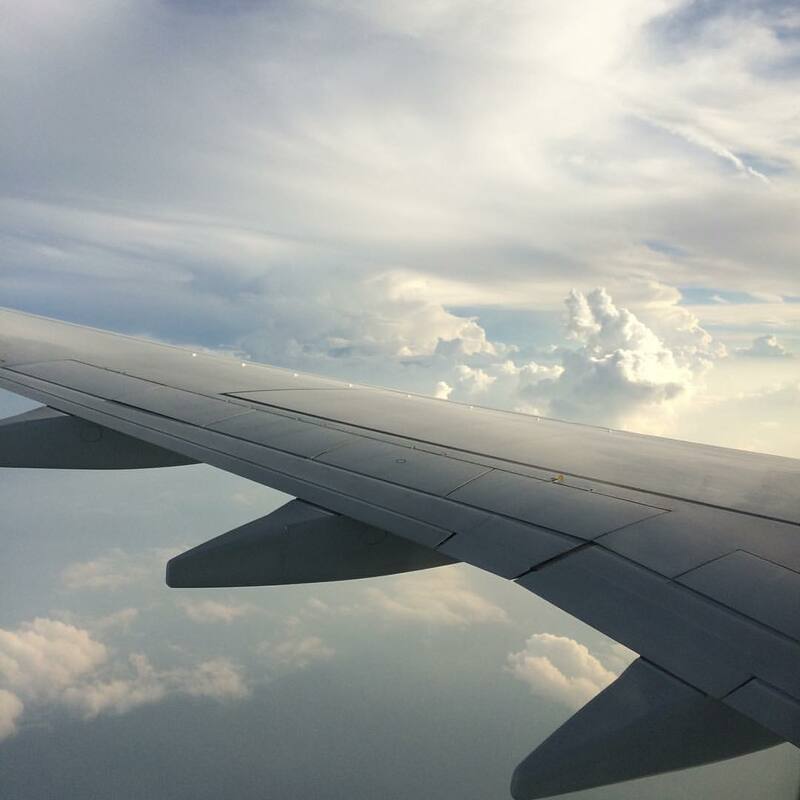 While flying from Narita to Itami (Osaka), JAL allowed us to use their in-flight WIFI for 15 minutes at no charge. That's how I took the first photo. From the airport, it was a little over 30 minutes, but at least by 20:00 I was home. Just hope that everything will be intact. Will be going grocery shopping and start cooking tonight. I think I told you how rainbows reminded me of my Uncle. 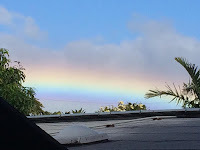 I think these days, rainbows remind me of people that I know, who have passed. This trip was filled with lots of rainbows. 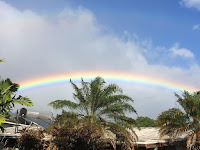 Most days, it was too rainy and/or cloudy for sunsets or sunrises (we even had a hurricane downgraded to a major tropical storm). Still, even if this trip was shorter than most and the weather not so nice, it was good to be home. I am thankful that Satoshi allows me do this every year. I am flying out today. 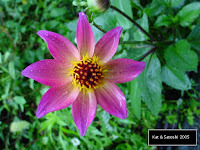 Be well everyone and talk to you soon. Saturday, Wen and I went to Chocolate & Vanilla Bakery, so that I could try their macaron. I got their mint chocolate...$2.04 (tax included). I enjoyed this. The mint wasn't overpowering. We then bought a Champion malasadas....$.85 (plus tax) each. And enjoyed it with a cold brew coffee from Starbucks...$3.61 (tax included). 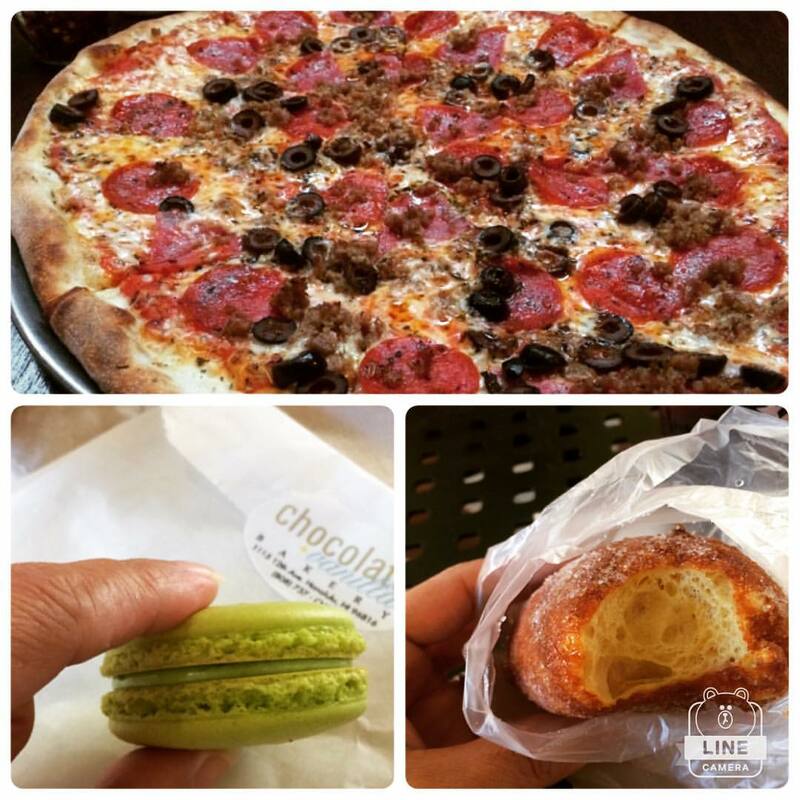 We then walked around Ala Moana a bit then headed over to J.J.Dolans for pizza. It had been about 4 years since my last visit. Their pizza is still delicious. Bellies full, lots of talking, and lots of laughs...it was a great day. I recently saw that Hawaiian Pie Company had custard tarts as their special of the day, so since I happened to be in the area, I stopped in and picked up one. 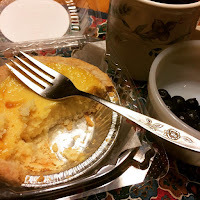 Looking at the size of the container, I am pretty sure that their tarts are the same size as their mini pies. The difference is that the tarts are a short crust (shortening) and the mini pies have a flaky crust (butter). 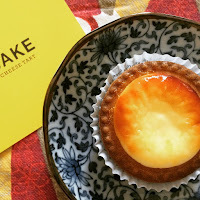 Whenever I pass through Chinatown, I pick up a Lee's custard tart $1.25 tax included. The Hawaiian Pie Company's is larger and costs a little more too...$3.66 (tax included). Straight out of the fridge is how I like custard pie...this one was so good!